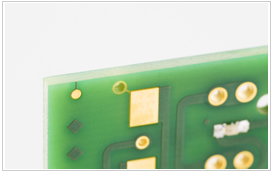 Reduce PCB production cost and also prevent PCB warpage, because v-groove free. Need no pallet(fixture) to cut PCB. It is possible to teach cutting program and run auto operation with touch panel. The main body integrated with dust collector, this will save space. Become possible to check cutting line on touch panel screen(option). 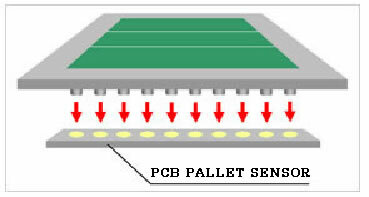 Sensor on main body check accuracy between selected program and pallet(option). 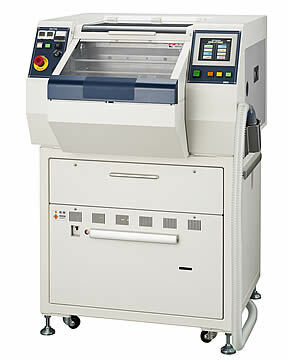 Max.300mm/s cutting speed for paper phenol PCB when you using newly developed tip saw. And also can cut Alu PCB.